Google’s Messages for Web has changed the address. Now, it has made a transition from Android.com domain to Google.com domain. However, still, you can access Messages for Web via messages.android.com but the access is also available on messages.google.com. Rich Communication Services (RCS)-related settings on the Web app has also been added with the move to the new domain. Google took this step just to minimize the reliance on Android branding. Recently, Google has also changed the name of the Android Messages app to “Messages” only. It was first spotted by Reddit user that the Messages Web app is now also available at messages.google.com/web. The Web app is not accessible by everyone at the moment but it is to be expected that soon it will be available for everyone. 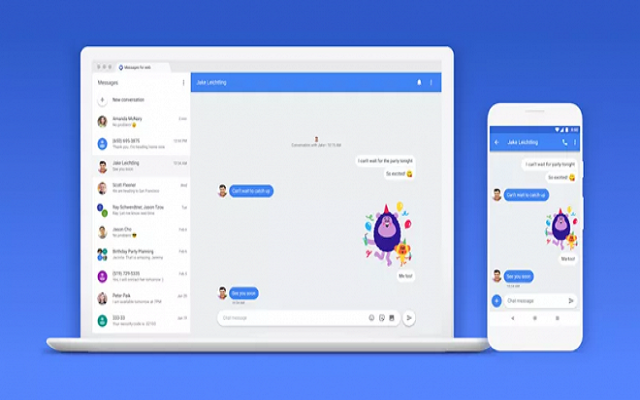 It is important to mention here that the “Messages” is an official app of Google for SMS, MMS, and RCS (chat), just like Apple’s iMessage. Previously, users accessed Google’s Messages app by visiting messages.android.com and then scanning a QR code from their phone to pair up their computer’s browser. It gained web support in June 2018. Last month, Google announced that it is bringing the Assistant to Messages. The company said that the Assistant integration in Messages will give you suggestions so that you can know more about movies, restaurants, and weather from the Google Assistant.